This morning Geil Kiln staff sent word that Calvin’s new, custom built, crated kiln will likely be loaded for shipment today with a transit time of 5-8 days. The 3000 + lb. 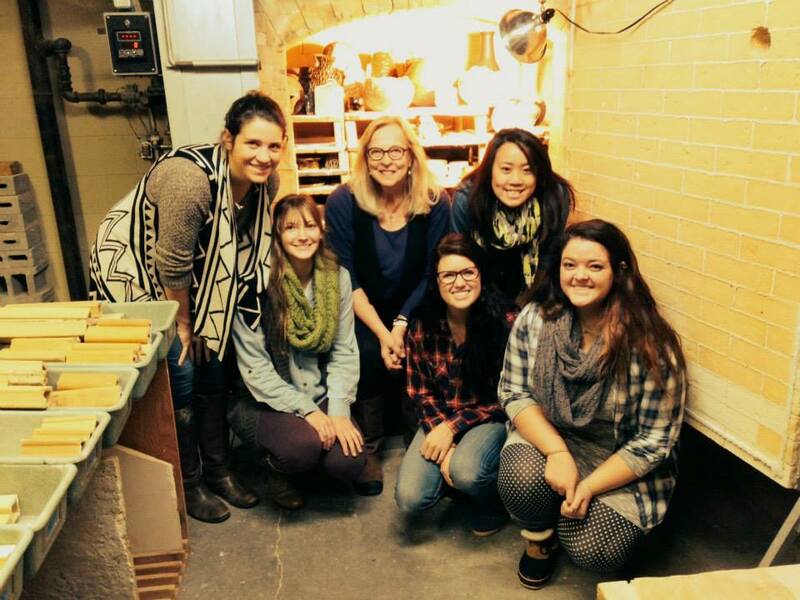 shipment, arriving in the season of Thanksgiving, begins a new era of ceramics at Calvin College! Transitions from old to new are often rich with metaphor and poetic moments. The Ceramics students and I just shut down Bertha for what we assume to be her last firing. A final unloading will take place on Wednesday morning with pieces still warm to the touch. You are welcome to stop by during this exciting process. The old kiln holds works that will be on exhibition at the upcoming Art Education Senior Exhibition, “Bourn”, at the 106 Division Calvin Gallery. All are invited to the reception on December 5, from 6-9 PM. My deep appreciation to all who supported the new kiln project. Her name is “Jessie”. This entry was posted in Ceramics and tagged Art Education. Bookmark the permalink.